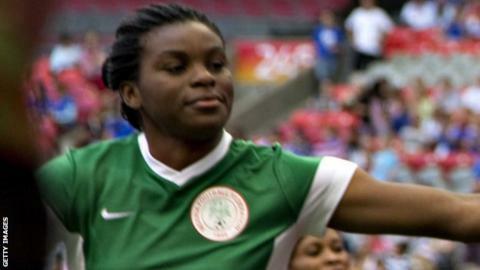 Women's Super League Two side Oxford United have signed Nigeria striker Ini Umotong from Portsmouth. Umotong made her international debut in March last year, but did not feature for Nigeria after being named in their squad for the 2015 World Cup in Canada. The 21-year-old has scored 25 goals in 20 Premier League Southern Division appearances for Portsmouth this season. "Ini is a striker who possesses both power and pace," Oxford manager Les Taylor told the club website. "She has been very impressive during training with Oxford United and I am sure she will be a handful for opposition defences."